A. The candidate should be a Registered Nurse and Registered midwife or equivalent with any State Nursing Registered council. B. The minimum education requirements shall be the passing of: B.Sc.Nursing / Post Basic B.Sc. Nursing with minimum of 55% aggregate marks. C.	The candidate should have under gone in B.Sc. 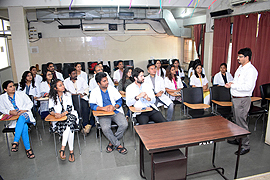 Nursing/B.Sc.Hons.Nursing / Post Basic B.Sc. 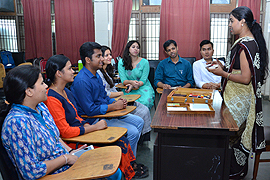 Nursing in an institution which is recognized by Indian Nursing Council. D.	Minimum one year of work experience after basic B.Sc. Nursing. E.	Minimum one year of work experience prior or after Post Basic B.Sc. Nursing. F.	Candidate shall be medically fit. G.	5%relaxation of marks for SC/ST candidates may be given. H. Medium of Instruction : English. Click Here to Download Application-Form 2017-18. 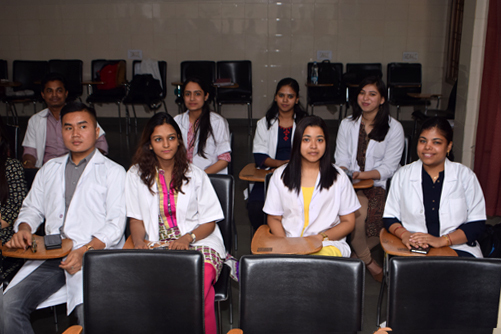 Approved By Indian Nursing Council, New Delhi & Affiliated to Ayush Health and Science University, Raipur (CG) & Govt. of Chhattisgarh. 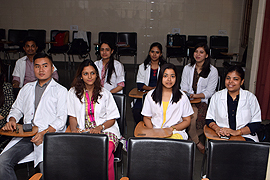 College of Nursing, Post Graduate Institute of Behavioural and Medical Sciences (PGIBAMS) offers courses at the M.Sc. in Psychiatric Nursing. 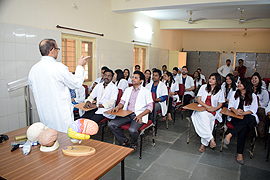 The College of Nursing is located at Mana Basti, Behind Raipur Airport and well connected to Main Road, Shopping Malls Bus Stand and Railway Station. What We Have Offer You ? - The well-planned infrastructure of college of nursing and parent hospital within the campus. - Library with latest books and journals with comfortable sitting arrangements.